This is a very general guide on how to install a CB antenna. There are many factors that will affect your specific installation. The basic steps for every installation are the same and we will outline them here. The best place for your standard antenna is the center of your roof, where you will have the greatest ground plane coverage. 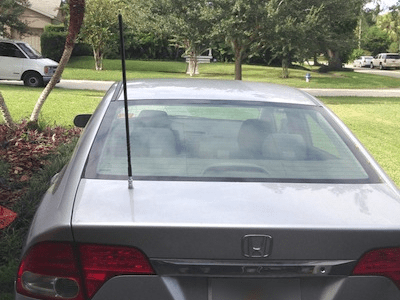 When you install a CB antenna on the fender, bumper, or anywhere else around the edge of your vehicle, you will have a weaker signal going away from the vehicle. For instance, if you install it on the front, driver's side fender you will have a weaker signal out to the front left of the vehicle. 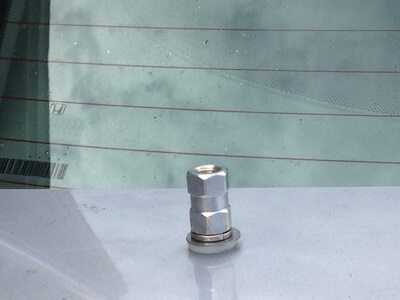 You need to have the coil for a CB antenna above the roof line of the vehicle. You want your antenna to be as tall as possible without smacking over passes or other obstacles. This process can be anywhere from very simple to very complicated. A magnetic mount just sets on the roof. A door jamb mount requires measuring and drilling and adjustments to get the antenna vertical. Follow the instructions for installing your mount as closely as possible (if it came with any). Also, make sure that you have all of the proper components to attach your antenna mount to the coax. For example, some mounts come with a stud that will require the ring terminal connector on your coax while others will require a PL259 connector on your coax. Another option might be the FireRing. See an example of each here! Firestik offers some great pictures showing proper FireRing installation with regards to the antenna stud and mount. Shoot us an email if you are unclear about anything. Get a cable with a removable PL259 if possible. Running the coax without that big connector on it is much easier. Check out a product like the HS818TN-NIP. Figure out a path that will leave you with a little slack as possible. Avoid alternators or other things that will create noise in the line. 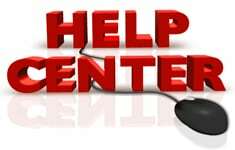 If you are experiencing noises, check out our Help Center atrticle about Reducing Noise Interference. Avoid running your coax next to other cables/cords. Don't shorten the coax. Coax is designed at specific lengths for CB antennas- you will notice that most coax comes in increments of 3 feet. We typically recommend 18 feet of coax even if you don't think that your application needs that much coax. Many antenna manufacturers somewhat pre-tune their antennas using 18 feet of coax. For example, if you use 9 feet instead of 18 feet, you may need to make additional changes to your antenna during the antenna tuning process. Properly store any excess coax in a figure 8, about a foot in length, and bound in the center- it should look like a long, skinny 8. This is important! Do not store your coax in a coil as this is basically creating another antenna coil and will likley result in high SWR readings. Tuning the antenna is one of the most important parts of the installation process. It will help to optimize the antenna system and ensure that you won't damage your radio. Please tune your CB antenna during installation and before transmitting with your radio. If you transmit with your radio and possibly have HIGH SWR READINGS, this can result in damage to your radio! 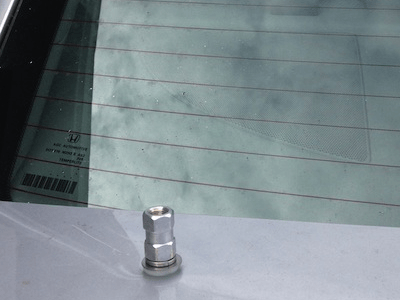 Tune it every time you move the antenna, add a spring or quick disconnect, modify your vehicle with a large metal component, hit your antenna on something, change your coax length, switch to a different mount, and more. You can find a link to an article on CB antenna tuning here. You will need an SWR meter to tune your CB antenna. It is essential in getting the best performance out of your setup. Some radios have the meter built into the radio but many do not. If the radio does not have a built-in SWR meter, check out the AUSWR! One of our brilliant customers found a unique way to mount a 2 ft Firestik on his Honda Civic. The customer had originally purchased an MK748R trunk lip mount, but didn't like the look of it. Rather than sticking with the mount, he drilled a hole in the trunk and mounted the CB antenna with a Firestik K4 stud directly to the lid. The result looks pretty good. 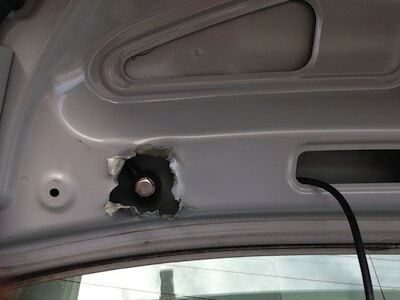 From looking at the pictures above, and talking to the customer, it looks like he found a place to drill a 3/4" hole where he could access the underside of the trunk lid. To get at it with a wrench, he ended up cutting the metal back a bit. A Firestik coax with a Fire Ring connector was used to connect the antenna to the radio. In this case, a swivel mount, like the JBC100, could be useful if you want to have the antenna vertical.